I was about to post another article: “Is Putin a Part of NWO?”, but I am putting it on hold for now because of these breaking and very important news. I have just seen the news about the MH17 downing in eastern Ukraine and decided to put together what I see, along with a quick compilation of several posts related to the issue. It’s a terrible tragedy. But as always, the very first thing to ask is: Who stands to gain? Added: To those readers who keep writing to me that Putin would not fly his plane into the war zone: OF COURSE HIS SECURITY WOULDN’T ALLOW THAT! It doesn’t take a genius to grasp that. My point is that SOMEONE there on the ground THOUGHT he would, someone in Ukraine army was GIVEN such information. For more read below! THIS WAS A DELIBERATE ATTEMPT TO SHOOT DOWN THE RUSSIAN PRESIDENTIAL PLANE CARRYING VLADIMIR PUTIN ON HIS WAY FROM THE LATIN AMERICAN VISIT. THIS COMES ON THE HEALS OF PUTIN’S SUCCESS IN PUSHING THROUGH THE CREATION OF THE BRICS BANK AS A HEALTHY ALTERNATIVE TO THE ROTTEN US-LED IMF/WORLD BANK SYSTEM. PUTIN ALSO SIGNED VARIOUS MEGA-DEALS WITH MULTIPLE LATIN AMERICAN COUNTRIES. DISCUSSED WERE SECURITY AND COMMUNICATIONS DEALS THREATENING US GLOBAL DOMINANCE, INCLUDING THE RUSSIAN GLOBAL NAVIGATION GLONASS SYSTEM, TO RIVAL THE AMERICAN GPS. See my article: New Predictions! 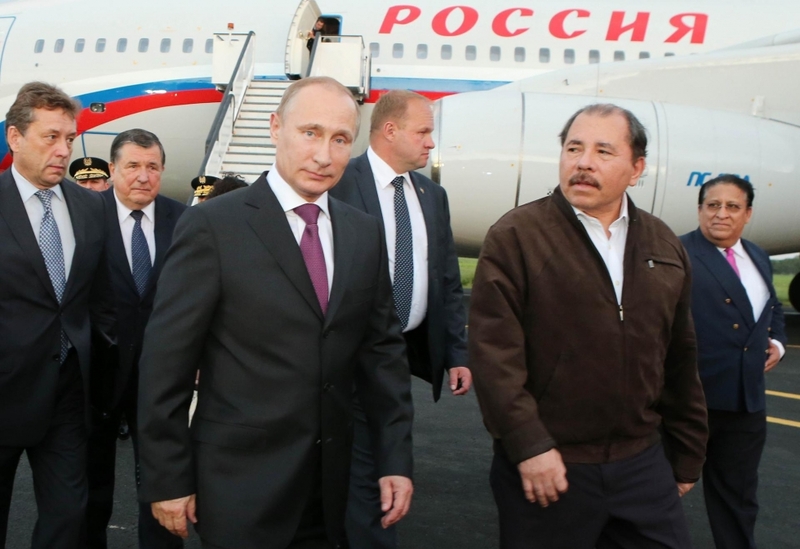 Putin Goes to Latin America: US Creates Wars – Russia Extends a Hand of Cooperation. AT THE SAME TIME, RUSSIA SUCCESSFULLY NEGOTIATED THE SOUTH STREAM CONSTRUCTION DEALS WITH VARIOUS EUROPEAN COUNTRIES, OVER A MASSIVE US RESISTANCE AND ARM TWISTING. US IS TRYING TO TIE THE EU TO ITSELF BY PUSHING ON THE EU ITS MORE EXPENSIVE AND LOW QUALITY SHALE GAS, IN LIEU OF RUSSIAN GAS. ALL OF THE ABOVE PROJECTS ARE BEING FINANCED OUTSIDE OF THE DOLLAR SYSTEM. RUSSIA HAS MADE SERIOUS STRIDES IN UNDERMINING THE DOLLAR HEGEMONY. AS SUCH, PUTIN IS THE ARCH-ENEMY OF THE US and NWO. MEANWHILE IN EASTERN UKRAINE, NOVOROSSIA HAS BEEN FORMED, AND THE JOINED FORCES OF DONETSK AND LUGANSK REPUBLICS SUCCESSFULLY SURROUNDED 4 THOUSAND KIEV NAZI TROOPS IN 3 DIFFERENT LOCATIONS. KIEV IS LOSING THE WAR AGAINST DONBASS/ NOVOROSSIA ON ALL FRONTS. THIS INCLUDES THE PSYCHOLOGICAL FRONT, AS MORE AND MORE PEOPLE IN UKRAINE QUESTION THE LEGITIMACY AND INHUMANE METHODS OF THE KIEV JUNTA. MAKE NO MISTAKE – UKRAINE IS SUPER-IMPORTANT FROM THE GLOBAL GEOPOLITICAL STANDPOINT! THAT’S WHY THE US IS ALL OVER IT; AS IT IS COMING OUT, SO IS ISRAEL. US IS INCREDIBLY SCARED THAT ITS HEGEMONY IS CRUMBLING. THE BRICS BANK, RUSSIAN DEALS IN LATIN AMERICA, SIBERIA, AND SOUTH STREAM IN EUROPE, MAKE THE US LOOK WORSE AND WORSE. PUTIN HAS BEEN VILIFIED AND THREATENED, RUSSIA WAS SABOTAGED EACH STEP OF THE WAY. UKRAINE MAYHEM WAS ORCHESTRATED BY THE US TO FURTHER WEAKEN AND MALIGN RUSSIA. BUT NONE OF THIS WORKS. PUTIN STILL OUTSMARTS AND OUTPLAYS THEM EVERY TIME. PUTIN CONTINUES TO BE THE MOST POPULAR WORLD LEADER. WHILE PUTIN WAS IN BRAZIL, SIGNING CONTRACTS AND CELEBRATING THE BRICS BANK CREATION, US IMPOSED ANOTHER ROUND OF SANCTIONS AGAINST RUSSIA. HOWEVER, RUSSIA HAS ANNOUNCED THAT IT ISN’T PHASED BY THE SANCTIONS AND WILL CONSIDER ITS OWN SANCTIONS AGAINST THE US. THE NEXT AND ONLY THING THAT REMAINS FOR THE US TO DO IS TO KILL PUTIN PHYSICALLY. THIS WAS AN ATTEMPT TO DO JUST THAT, USING THE KIEV JUNTA ROCKETS. THE IDEA WAS TO BLAME IT ON THE DONETSK REPUBLIC/NOVOROSSIA SELF-DEFENCE. EXCEPT, NOVOROSSIA DOESN’T HAVE THE ROCKETS CAPABLE OF REACHING THE ALTITUDE OF A COMMERCIAL JET. IT IS CLEAR THAT PUTIN’S PLANE WAS TARGETED. AS YOU’LL SEE BELOW, IT MAY HAVE FLOWN IN THE SAME SPACE JUST A LITTLE LATER. THE RUSSIAN SOURCES LATER DENIED THAT PUTIN’S PLANE FLEW OVER UKRAINE AIR SPACE, AND IT’S MOST LIKELY TRUE. IT IS VERY POSSIBLE THAT PUTIN’S PLANE DELIBERATELY CHANGED ITS ROUTE, OR THERE WAS ANOTHER DIVERSION. I BELIEVE UKRAINE MILITARY MISTOOK THE MALAYSIAN FLIGHT MH17 FOR THE RUSSIAN PRESIDENTIAL PLANE, AND EXECUTED THE ORDER THEY HAD RECEIVED. RUSSIAN PRESIDENTIAL PLANE AND THE MALAYSIA AIRLINES PLANE ARE VERY SIMILAR-LOOKING FROM A DISTANCE. THE INTEL AND COORDINATES FOR THE RUSSIAN PRESIDENTIAL PLANE’S ROUTE COULD HAVE ONLY COME FROM THE US SATELLITES. UKRAINE HAS NO SUCH INTEL CAPABILITY. THEY DO HAVE ROCKETS TO EXECUTE THE PLAN, BUT AS IS COMMON KNOWLEDGE, THE UKRAINE MILITARY IS VERY POORLY TRAINED, HENCE THE MISTAKE. THE LAST THING TO ADD IS THIS: I SEE THAT US, EU AND ISRAEL MSM IS ALREADY YELLING THAT IT WAS RUSSIA THAT DOWNED THE PLANE SINCE IT WAS THE RUSSIAN-MADE BUK MISSILE. BUT HERE IS THE PROBLEM: THESE OLDER MISSILES ARE NOT REALLY USED BY THE RUSSIAN ARMY ANY MORE… HOWEVER, THEY ARE USED VERY EXTENSIVELY BY THE UKRAINE ARMY, WHICH IS EQUIPPED WITH OLDER, SOVIET-STYLE WEAPONS from 1980s, AND DOES NOT HAVE THE MODERN RUSSIAN WEAPONS! MOREOVER, UKRAINE AT ONE POINT WAS THE MANUFACTURER OF THE BUK MISSILE. More about the BUK missile on Wikipedia. PRESENTLY, UKRAINE ARMY HAS 27 BUK-M1 SYSTEMS STATIONED ALONG THE NORTH-WESTERN BORDER OF DONETSK AS PART OF THE UKRAINE ARMY’S 156TH MISSILE BRIGADE. Link to the Russian army announcement on the topic. P.S. It’s worth noting that both Kiev and US are constantly trying to put Russia on the defensive. This is a proven US technology: to keep your opponent busy so he doesn’t have the time to challenge you. Sometimes they succeed, sometimes not. Another thing to note is the divide-and-conquer strategy. There were lots of Europeans on the plane, so McCain’s and MSM immediate yelling that Russia shot down the Malaysian airliner is supposed to put a rift between EU and Russia and Malaysia and Russia. Stay tuned for my next article about #NWO and #Putin, which will explain further and in more detail what’s going on! Itar-Tass and Interfax news agencies are citing a source familiar with the issue, who said that another battery of Buk systems is currently being prepared for shipment to Donetsk region from the Ukrainian city of Kharkov. There were reportedly 280 people and 15 crew members on board the Boeing-777 plane, who reportedly all died in the crash. The moment when the Malaysia Airlines MH17 plane hit into the ground in Eastern Ukraine was allegedly caught on film by local residents. The footage was taken from a distance of several kilometers, but the massive explosion is easily distinguished in the video. The bright flash is followed by clouds of thick black smoke coming from the presumed Malaysian plane’s crash site. The footage also shows a trace of smoke in the air as the aircraft descended from the altitude of 10,000 meters. See the video, and more, on What is the Real Truth? The video was posted on a YouTube account, which supports the self-defense forces of the People’s Republic of Donetsk. The Donetsk Region of the Ukraine where the plane crash happened is the currently the scene of heavy fighting between the country’s military and the opposition forces, which refuse to recognize the regime change in Kiev and demand federalization. A Malaysian Airlines aircraft en route from Amsterdam to Malaysia crashed in Eastern Ukraine – not far from the Russian border – on Thursday. There were 280 passengers and 15 crew members on board the Boeing-777 plane. There are allegations the Malaysian plane was traveling at an altitude of over 10,000 meters when it was shot down. Both Kiev and the self-defense forces have denied involvement and are putting the blame for the tragedy on each other.